I wasn’t much interested in the Romans as a child. The excavation of a Roman Painted House in Dover in 1975 was big news locally and I can remember visiting and learning about underfloor heating, mosaic floors and Bacchus, the God of wine. At secondary school, we studied a little bit about the Roman army and the invasion of Britain in our history lessons, but despite having Richborough Roman fort on our doorsteps, I couldn’t get excited about a pile of stones. At the age of 15, I did work experience with the Dover Archaeological Trust, where I chipped away at soil with a trowel for two weeks and found nothing. The most exciting moment was being sent to a hardware store to buy tacks to keep a red carpet in place for a visit from the Queen Mother. To me, the Romans represented trays of chipped pots. They were definitely not something I wanted to discover more about. A visit to Rome in my early twenties aroused my curiosity slightly, as I saw the awe-inspiring sites of the Coliseum and the Pantheon, but despite buying a guide book, its glossy pages remained largely unread, and the ice cream parlours had a far greater allure – bacio gelato – a taste sensation to die for! 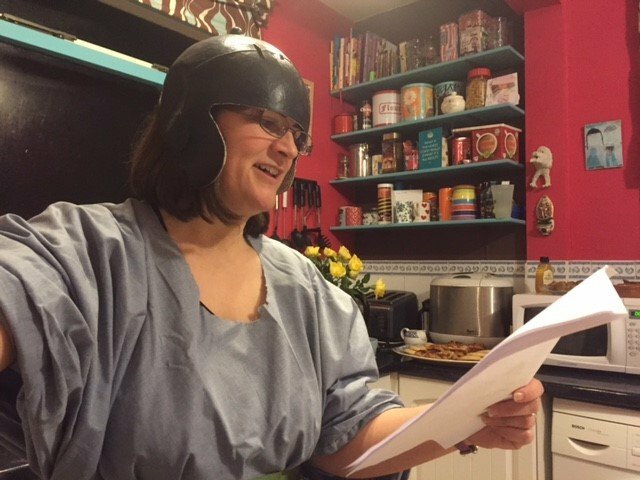 When I was thinking about a theme for a new murder mystery, my husband and sons suggested a Roman-inspired game. They were heavily into Monty Python at the time and “The Life of Brian” was almost on a continuous loop on our TV for about a month. I wasn’t sure that I was up to the task, as I didn’t know my glutes from my cubitus! I watched episodes of “Horrible Histories”, “Up Pompey” and YouTubed excerpts of “Gladiator”, the 2000 Ridley Scott film, becoming mesmerized by Russell Crowe’s “My name is Maximus” speech. I was warming to the theme – gladiatorial contests, public bathing, road building – it had potential. 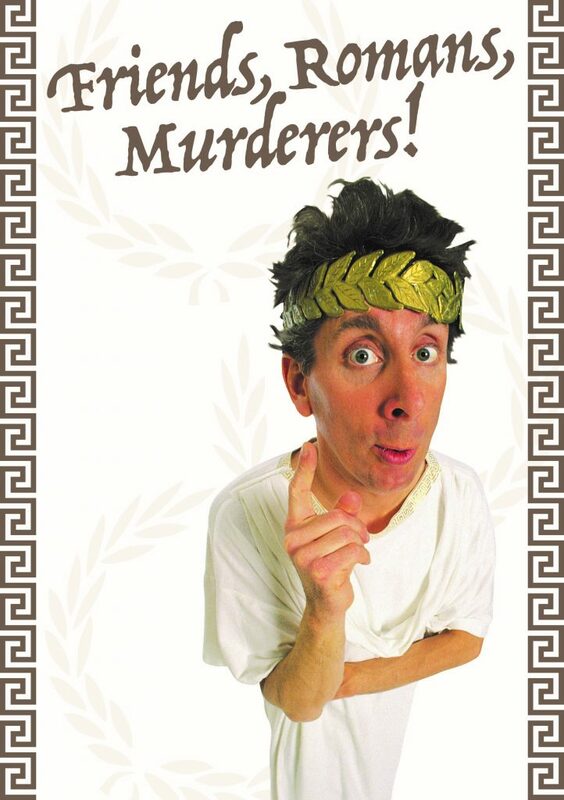 Starting with the murder, I needed to know more about how people died in Ancient Rome, so I researched weapons, poisons, food, and hygiene, anything that might cause a death. Increasingly I found myself drawn to Julius Caesar, the charismatic and forceful politician, who was famously stabbed 23 times at the Senate. Someone with that many enemies was a perfect murder victim, but I had to change history if I was to create any mystery around his death. What if he died at home, what if he never made it to the Senate? I had a germ of an idea. I became totally engrossed by the Romans, borrowing “Asterix” books from the public library as well as visiting our local Roman museum. Now I can’t imagine why I ever found the Romans boring. Mary Beard’s TV series “Ultimate Rome” – bring it on! Writing “Friends, Romans and Murderers” opened my eyes to a period of history that I had thought best left to school text books. And the chance to wear a toga ? ….. well, who wouldn’t enjoy prancing around in a toga?